This is going to be vague, but it's too intriguing not to share. During my interview with PlayStation's North American marketing v.p., John Koller, we were talking about exclusive perks for PlayStation 4 owners for multi-platform games and we got to the topic of GTA V.
We'd just discussed how Activision and Bungie's Destiny game, which is also coming to Xbox platforms, is getting an exclusive alpha and early beta on PlayStation. We'd just discussed how, according to what a Ubisoft rep had told me, there won't be exclusive PlayStation content for Assassin's Creed Unity, which is a break from the norm. Well, you saw this coming. Kotaku: I there anything to that particular deal or that particular offering that will make it better-suited to play on PS4 instead on any other platforms? Koller: I don't think we announced anything publicly on that, but there will be. I think GTA V is a title that did extremely well on the PlayStation 3. In fact... the index rate...—the index rate is the amount of people who purchase one platform or the other relative to the install base—it swung well in PlayStation's favor for GTA V, a lot of it because of the partnership we had with Rockstar. We would expect that to happen here, too. GTA is a PlayStation franchise. It started with us. We really feel strongly that it belongs as a key platform driver for us. Kotaku: You're saying that you can't say what it is, but that there will be something special for PlayStation owners? 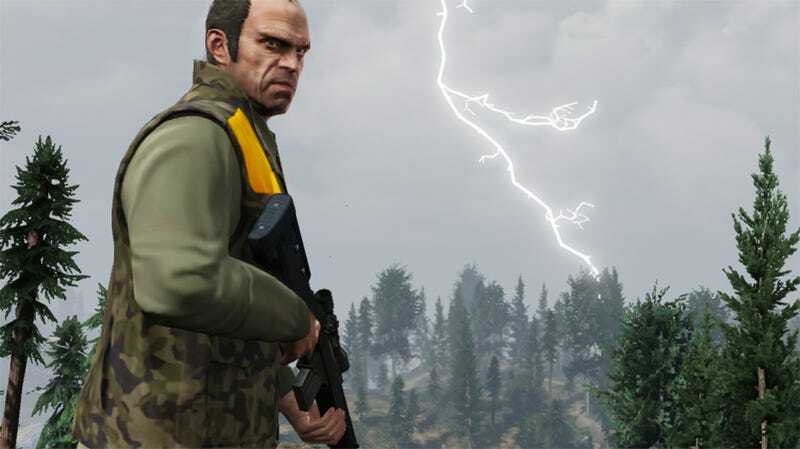 Koller: GTA V is going to be, I think, a title we'll talk about more in the weeks and months to come, but GTA V and the GTA franchise is something that will be something very special on PlayStation. I've reached out to Rockstar to see if they can share anything more about whatever Koller was referring to. And please temper expectations. Koller could be talking about exclusive DLC, timed exclusives or, hell, a free year of PlayStation Plus for anyone who buys GTA V on PS4. It's hard to say.